The judge in the Hillsborough trial has warned the jury "no-one is entitled to impose their opinion on others" during deliberations. 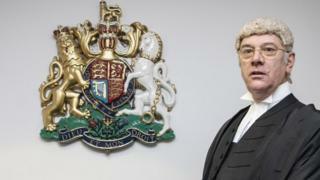 Jurors at Preston Crown Court have been sent out for a fourth day of discussions. Before they retired, Sir Peter Openshaw advised them a "full and frank exchange of views" was needed to reach a true verdict. He said each of them has an equal right to ask questions and raise issues. Former Ch Supt David Duckenfield, 74, denies the gross negligence manslaughter of 95 Liverpool fans at the FA Cup semi-final in Sheffield on 15 April 1989. The jury, of six men and six women, first retired to consider its verdicts on Monday after hearing 10 weeks of evidence. Before deliberations continued on Thursday, Sir Peter told them: "Although what happens in the course of deliberations is entirely private and you mustn't tell anyone what passes in the course of deliberations, you do have collective responsibility to each other and to the process of justice. "So, if something arises, whether outside the jury room or indeed inside the jury room, which gives you some concerns, if for example you thought one or more was not following this direction or any part of it or if there is any doubt, write a note to me or speak to the usher so I can take swift action to protect the integrity of the trial."